When you connect with Floyd Lee Locums, you’ll work with locum tenens professionals who understand your industry, your needs, and your goals. With several decades of experience between them, our team is uniquely positioned to provide the tailored solutions you expect. 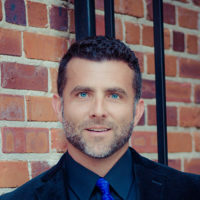 Zac Brigante works to improve the healthcare staffing experiences of all the providers and clients in his care. Whether by streamlining processes to make their lives easier or attending to their personal needs, he is continually committed to the diverse goals and requirements of healthcare professionals and the facilities that employ them. For over 10 years, Zac has helped providers find opportunities that fit their lifestyle. Having experienced locum tenens from a client’s perspective and as a recruiter for other large staffing agencies, he uses his industry background so providers can more fully realize their potential. He is always inspired by the chance to create inventive solutions that help physicians attain their goals—ones with the capacity to change both provider and patient lives for the better. Zac is an avid sports fan and proud father. He lives in the Cape Canaveral area of Florida with his wife and three growing boys. Chad Hales is our talented Healthcare Consultant Manager. He helps clinicians of every stripe find the opportunities right for them—ones that meet both their personal and professional development goals. For more than 6 years, Chad was the Director of Subspecialty and Surgical Subspecialty teams at CompHealth. There, he placed locums professionals in underserved communities—and connected facilities with the right fits for their organizations. Mile for mile an excellent locums recruiter, Chad also enjoys time with his two children. Outside of family time, his addiction is to his bike. He puts in around 10,000 miles and about 800k vertical feet a year (equal to climbing Mt. Everest 27 times). Cindy Casella is enthusiastic about the physicians and advanced practice providers she works with and leveraging her skills and talents to find them the ideal placement with facilities nationwide. A service-oriented guru, she thrives on growing lasting relationships between clinicians and those who need them. 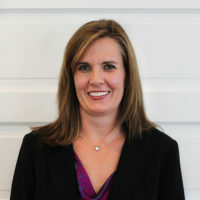 Prior to joining the team, Cindy developed a reputation as a key player with ApolloMD and Weatherby Healthcare. She has consistently been a top performer, recruiting and placing anesthesiologists, psychiatrists, CRNAs, and NPs and PAs over the years. When she isn’t building bridges between clinicians and healthcare facilities, Cindy enjoys spending time with her husband and children. She also takes time to stay healthy and unstressed by hitting the gym or playing a game of basketball. Kristen Belk joins the Floyd Lee Locums family with a passion for physician staffing and an eagerness to assist in improving our placement strategy. Having worked at Weatherby previously, her knowledge and experience is critical in optimizing our partnerships with healthcare facilities and in serving the providers we work with. 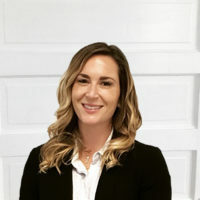 Most recently, Kristen worked for Cejka Search, where she managed permanent placement physician searches and maintained superior client relationships. Her responsibilities included: managing a large multi-specialty client portfolio, recruiting and placing physicians and facilitating client site visits nationwide. When she isn’t leveraging her locums skills, Kristen stays busy traveling, attending concerts and spending time with her fiancé, Tyler, and their two dogs, Senna and Barkley. A self-described foodie, she loves hitting the town to discover new restaurants, wine bars, and breweries. As a Healthcare Consultant, Victor Burleson is a prime resource for physicians searching for new personal and professional growth. Dedicated to recruiting and placing talented clinicians, he is proud to match healthcare professionals with facilities and communities that need them most. A jack-of-all-trades, Victor prides himself on understanding what subtle nuances make the most impact for physicians in their careers. That concierge spirit is apparent in his support of those considering locums—as well as those more tenured in the locums lifestyle who want to optimize their careers further. In his free time, Victor enjoys spending time with his children and grandchildren. When they’re not out boating or fishing in the Charleston area, Victor is putting his love of cooking to work for his entire family and friends. A southern gentleman at heart, you will find no detail too small for him to consider a priority! Tracy Zeidler has spent nearly 10 years in the healthcare staffing space before coming to Floyd Lee Locums. Specializing in psychiatry locums placements, she optimizes the recruitment experience for this segment and works to ensure each clinician enjoys career freedom. Before she joined the Floyd Lee Locums team, Zeidler worked as a Consultant on the Neurology Team at Weatherby Healthcare. A top performer, she received both individual (Million Dollar Club Award) and team (President Club) recognition multiple years. Originally from upstate NY and a graduate of Coastal Carolina University, Tracy is a mother to two – her daughter, Morgan, and pup, Olivia. In her free time, she enjoys cooking for loved ones, volunteering and soaking up the sun at the beach. 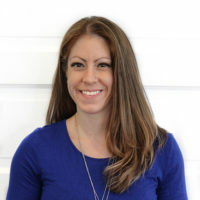 As a Certified Provider Credentialing Specialist (CPCS) and member of the National Association of Medical Staff Services (NAMSS), Amy manages all the credentialing and privileging activities for Floyd Lee Locums. This includes all licensure applications, monitoring and follow-up during credentialing. Prior to joining the team, Amy spent a decade as the Senior Credentialing Coordinator at Paramount Health Options. There, she coordinated all commercial payer and Medicare/Medicaid enrollments as well as handled hospital privileging applications, payer audits and accreditation renewal surveys, while managing the Credentialing Committee. When she’s not providing a concierge credentialing experience, Amy devotes time to her two sons who are involved in football and band. She also hits the gym any chance she gets and participates in figure (bodybuilding) competitions. A veteran of the healthcare staffing space, Kemi Upchurch joins Floyd Lee Locums with over 15 years of experience. Considered a top performer in the industry with multiple awards under her belt, she is passionate about providing quality service with each clinician and facility engagement. Kemi joins Floyd Lee Locums after a career at Supplemental Health Care, where she grew from a recruiter to the Senior Area Director in charge of sales, staffing, and recruitment. 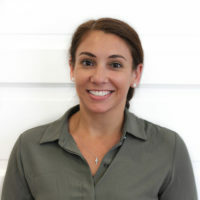 With a keen understanding of clinician and facility challenges, she will lead the development of new client relationships, while expanding existing ones. 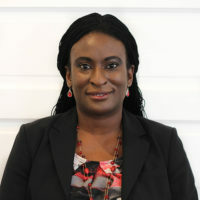 Kemi lives in Cary, North Carolina with her husband and four children. When she’s not spending quality time with them, she can be found binge-watching her favorite shows, Game of Thrones and Stranger Things. As our operations specialist and concierge consultant, Parin Patel is here to serve our clinicians and take care of their every request as they settle into their new assignment, including arranging travel. 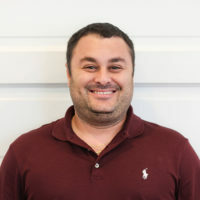 A master of problem solving and creative troubleshooting, he’ll support the team so they can efficiently and effectively provide the best concierge service available. Before joining to Floyd Lee Locums, Parin worked in the shipping industry in a service capacity. A partner to all clients, he thrived on the opportunity to help everyone who walked through the door have a good experience and leave happy. Parin dedicates his personal time to family, travel, and even singing Bollywood songs! A fan of holistic living, he enjoys finding healthy recipes, working out, running and meditating. Kelly Konjevich manages all of the back office and internal finance functions of Floyd Lee Locums. Originally interested in nursing, Kelly found herself drawn to the business side of healthcare, where she saw just as much of an opportunity and a necessity to help those in need. She now supports locum tenens professionals across the country who care for a large network of patients. She takes great pride in placing the best individuals where they are needed most. Kelly has recently moved into her first home in central Florida with her husband, a retired military veteran, and her adorable young son. She enjoys spending time with her family, socializing, and traveling. 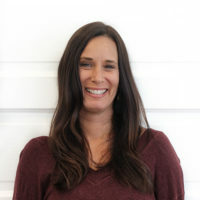 With over 10 years of recruitment experience, including five in the locum tenens space, Michelle is uniquely positioned to meet the needs of today’s healthcare professionals and facilities. She feels strongly about the part Floyd Lee Locums plays in supporting patient care, and its mission to connect the right care professionals with the people and communities who need them. 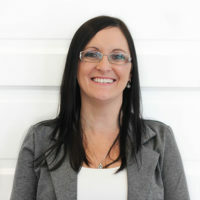 Michelle got her start in locum tenens with CHG – Weatherby as a training specialist. With multiple degrees under her belt, she continued her development with Mint, where she honed her skills training, mentoring, and streamlining processes. Acutely aware of the challenges facing organizations, she is deeply passionate about helping others grow and succeed, while finding solutions that also balance business and technology goals. Having recently returned to her South Florida roots, Michelle is glad to be back in the Sunshine state with her husband, two children, and pup, “Frank the Tank.” Christmas brought a new puppy into her home, who’s name is still up for debate among the family. In her spare time, she enjoys taking CrossFit classes and being on the water. 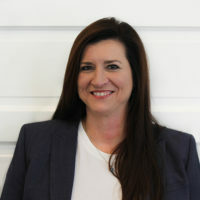 In her role as VP of Marketing, Kelly leads the internal and external communications, creative direction, marketing strategy and public relations arm of the business. Primarily focused on clinician and facility engagement, she curates the organization’s public-facing content to support the placement of care professionals in communities where they’re needed most. 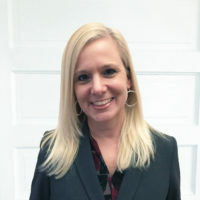 Prior to coming onboard, Kelly worked in the healthcare staffing space with Trinity Healthcare Staffing Group, Travel Nurse Across America (TNAA) and Supplemental Health Care. In addition to these roles, she’s also consulted with healthcare organizations Valley Behavioral Health, Remuda Ranch and Adreima—and collaborates with philanthropic organizations like Social Venture Partners and the Ronald McDonald House. Natasha Lee believes in the exceptional service and integrity that Floyd Lee Locums stands for. And as chief executive officer, she works every day to reinforce that brand promise for our clinicians, clients and staff teams. Natasha passionately upholds the key values of Floyd Lee Locums, whose primary focus is to revolutionize the healthcare staffing industry. She is able to deliver industry-defining solutions by leveraging her deep network of relationships, tapping new talent to fill vital roles around the country, and putting providers on the path towards achieving their own personal goals. Prior to founding Floyd Lee Locums, Natasha was the chief operating officer of Trinity Healthcare Staffing Group—one of the top nursing companies in the country before its sale in 2017. Before that, she acted as a national director at Weatherby, leading several award-winning teams and launching one of its largest and more successful specialties: psychiatry. An industry veteran since 2001, she has extensive experience starting and growing new service lines, penetrating new markets, and recognizing and grooming talent. Her authentic commitment to the industry informs the organization’s key promise of serving those who serve others. When not juggling the responsibilities of CEO, Natasha is raising three active children and two (even more active) dogs with her husband in Charleston, South Carolina. A true Southerner at heart, she enjoys the opportunity to kick back and appreciate time with friends and family. 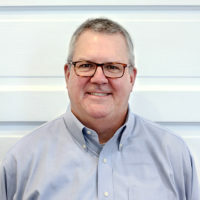 Matt Floyd got his start as a critical care travel nurse, before founding Trinity Healthcare Staffing Group in 1999. Experiencing firsthand the frustration of working with companies that didn’t deliver on their promises, he endeavored to create a better healthcare staffing agency founded on personalized service, reliable and consistent support, and a solid commitment to integrity and transparency. This dedication to offering healthcare professionals a better experience led him to expand into locum tenens staffing in 2015. The acquisition of Trinity in 2017 enabled Matt and Natasha to found Floyd Lee Locums, an organization committed to delivering concierge-level service and personalized locum tenens. 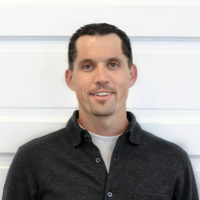 Matt credits his success to a relentless focus on building long-lasting relationships and keeping open communication between recruiters and healthcare professionals. 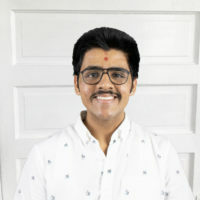 He also believes his achievement is tied in large part to pursuing a team of like-minded professionals devoted to what matters most: healthcare professionals, facilities, and their patients. Matt is a family man, splitting his time between South Carolina and Ohio, where his two oldest children live. He and his wife welcomed a new baby boy in 2016. An avid sportsman, he enjoys hunting and fishing—and is currently creating a hunting lodge on over 300 acres of South Carolina wetlands.